KIHM utilizes 6-axis Co2 laser technology to provide value added services complimentary to metal forming operations such as hydro forming or metal spinning. Functions such as, hole drilling, trimming, and intricate cut outs are routinely accomplished on KIHM’s Lasers. 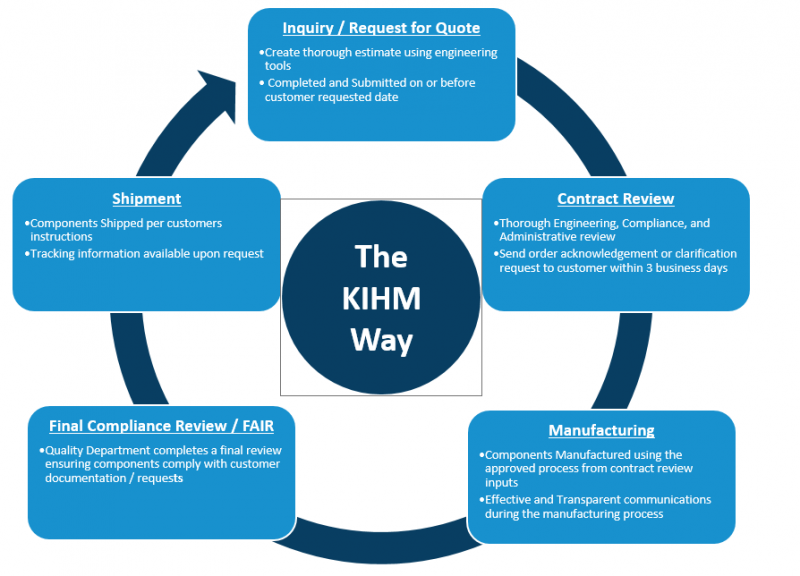 KIHM’s laser equipment and processes has been NADCAP and customer special process approved. The key advantage to utilizing is the speed and accuracy at which a laser can cut material, specifically with varying or complex geometry. This allows for quicker and more accurate trimming of formed metal parts, while ensuring no secondary processing is required to be performed to the cut edge of the material.